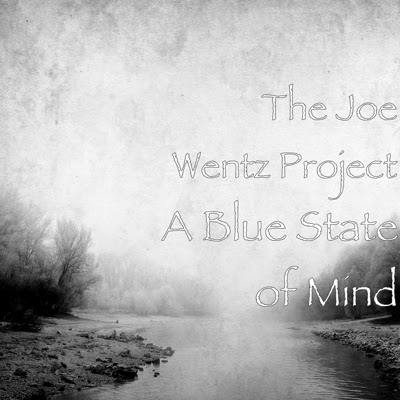 The Joe Wentz Project present their latest album, A Blue State of Mind. This album is a solid blend of rock and blues. While the blues influence is heavy on every song, especially the title track, the rock sound dominates. The first track, "All I Want To Do" is heavy, jamming rock song. It feels like it should have been cut for an AC/DC album. The title track "A Blue State of Mind" is basically a 5 minute guitar solo. A blues progression worthy of any jook joint holds down the groove and Joe Wentz shreds through the entire song. It's an impressive display of technical prowess matched with soulful expression. "Lost and Found" gives us a more sentimental track. The pace slows down for the first ballad on the album. Things pick up with "A New Horizon." This is an instrumental track that I would almost call cinematic. The progression is a bit more complex than anything else on the album. "Just Go To Him," the closing track, takes us back into ballad territory. This is a heartfelt track with a narrative that elaborates on the idea of loving someone by letting them go. Overall, A Blue State of Mind is a great escape into a sometimes bluesy, sometimes shred-y trip down rock and roll lane. Feel free to pick up The Joe Wentz Project latest release on iTunes and all major digital music retailers. Also, you can find more info about Joe Wentz at his website: www.thejoewentzproject.com and on his Facebook page.